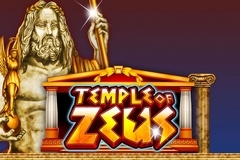 Zeus is a popular figure in mythology and he’s still turning up today as the star of several pokies, but this review is all about the Temple of Zeus game from Aristocrat, a Sydney-based developer whose pokies are featured at casinos around the world. This particular game is exclusively seen at casinos and isn’t currently available online, so anyone wanting to enjoy a classic design, where bonus features like free spins with multipliers and progressive jackpots can bring in some great wins, will have to head to a casino where Aristocrat pokies are included in their range. Housed in the Viridian Hybrid style cabinet, players will see the reels presented on a wide screen, with a separate screen above them that details the current progressive jackpot values. The Temple of Zeus was actually a real place, built by the ancient Greeks and lost for centuries until it was rediscovered and its ruins can still be seen today in Olympia. As well as forming part of the game logo, along with Zeus himself, it also acts as a cleverly-designed frame to the reels, which spin between the columns and sees the classic gable end above them.As well as at the top of the game, the jackpot amount is also displayed above each reel, but we’ll get to that bit in a minute, so let’s just look at the basic game first. A total of 25 paylines are available to bet on, and players will be thanking the Gods whenever 3 or more of the same symbol type come to a rest starting at the left side and then running across adjacent reels on a line. 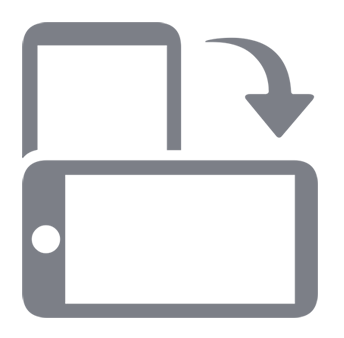 As well as the ancient design, there are some pretty ancient symbols in use, with single, double and triple bars, oranges, grapes and the classical red 7 icon. There’s also a Power Hits symbols that we will get back to shortly. The classic images give the whole game a traditional pub Poker machine feel, but once the bonus features are triggered, players are brought right up date with some great animations and rewarding extras. A Free Spins symbol takes players to a bonus round when 3 or more appear on the reels at once. An excellent animated sequence will then fly through the columns of the temple, past a big statue of Zeus, complete with lightning bolt, through to 9 Greek urns laid out against a red back wall. Above it all is a banner that lets players know that they have been awarded 5 free spins, where all winnings will be doubled in value. But by touching on 3 urns, they will gain extra spins and multipliers with each pick, while some urns will reveal both spins and multipliers at once. Each pick is accompanied by an impressive bolt of lightning and once the selections have been made, the improved number of spins and bigger multipliers will then begin. It’s time to take a look at the jackpots and Power Hits symbols now, as these are perhaps the highlights of Temple Of Zeus. Iron, Bronze, Steel, Gold and Platinum Jackpots are displayed above the reels, with the values of each slowly growing as the progressive pot gets filled up. While the Iron jackpot isn’t going to change anyone’s life, or even their day by much, by the time it gets up to the Platinum level, there’s several thousand Dollars to be won. The Power Hits symbol is key to landing a progressive jackpot prize when landing across any 3 or more reels. This takes players to a strange series of 5 spindles, wheels and cogs, one for each jackpot level which then spin and lock into jackpot or cash prize positions. The actual ones that spin depend on which reels the Power Hits symbol landed on and if a whole spindle gets filled with the jackpot, the corresponding prize is then awarded. It’s another nicely animated sequence that may have little to do with ancient Greece, but it’s shared across a number of games with diverse themes and looks good anyway, especially as the anticipation builds as each spindle fills up. This pokie deserves success, as it’s got a lot going for it and few, if any real downsides. It follows a popular theme, which may be a little over-done, but Aristocrat are simply providing what the players want, so can’t be criticised for that. The free spins can be pretty valuable once the multipliers take effect and it’s a nice touch that players pick urns to see how many they have been awarded, while the progressive jackpot round is fun to watch and even more fun if one of the bigger prizes is claimed.